Hey everyone! So if you have been following me on twitter or instagram or if you are reading this and know me in real life therefore have me on facebook you will know I've been sharing a few photos of me as a very little girl. 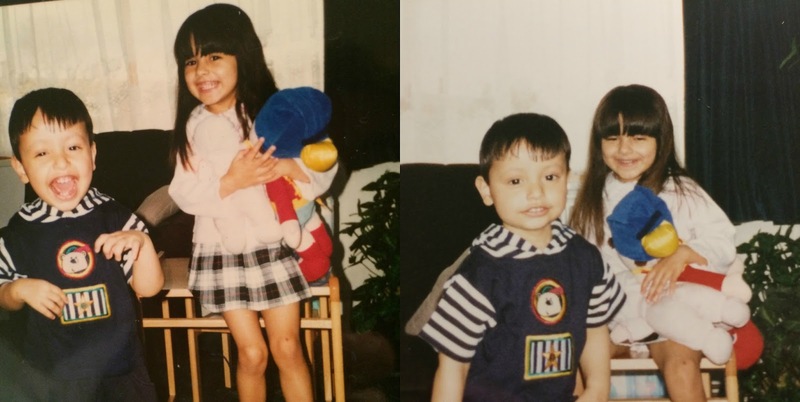 The other day my parents decided it would be a good idea to whip out all the old photo albums and show me and my brother photos of our antics and what we used to get up too. This post will be mainly photo heavy so I hope you enjoy having a look back into my past. 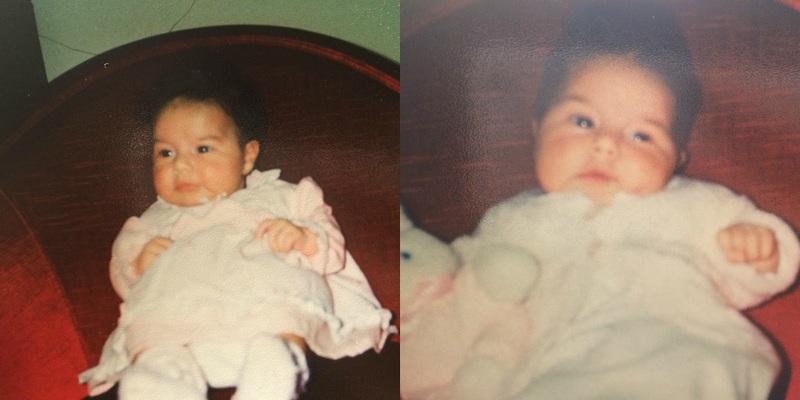 These are some of my favorite photos that I found of me as a baby/little girl and some special photos that I have with my brother too. Enjoy! 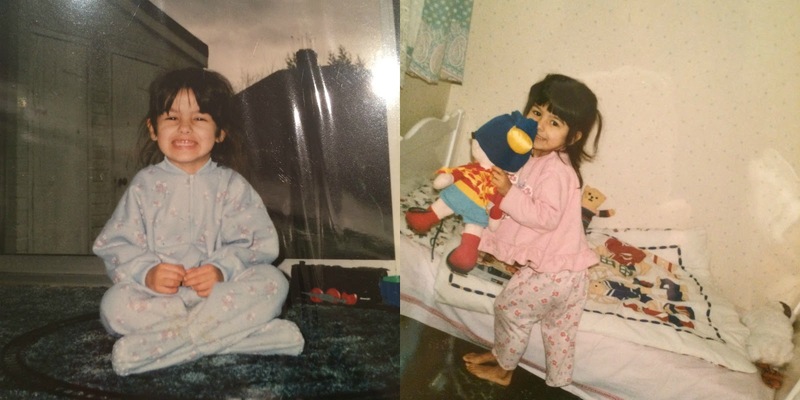 A titled head pose (haven't changed much then) and me on my third birthday! Just casually sitting in the middle of a train track and making my bed like a good girl. Meet my baby Noddy! Be careful though he's quite camera shy! Washing the dishes like a good girl and being a model! Literally a fashionista! Haha! 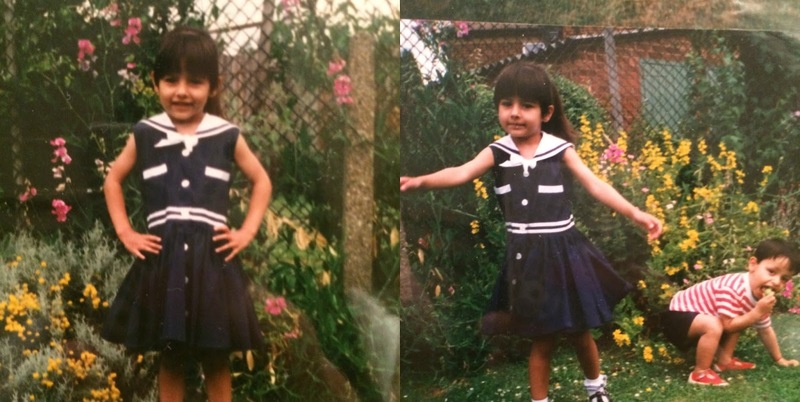 I can't even explain what I am doing in the first photo! I'm helping my Dad cut the grass in the second one! My Mother's Logic: Let's name our daughter Fleur, french for flower and photograph her with other flowers! Haha! 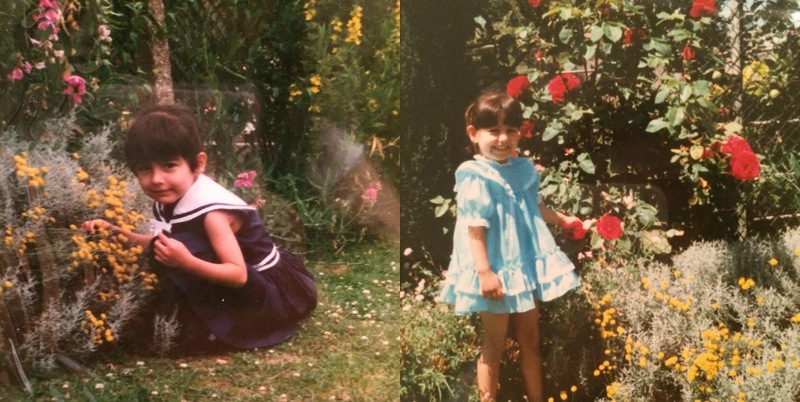 I loved the garden as a girl! However I was always put outside because I was danger to my brother! Oops! Let me just pose whilst my brother is eating something off the grass. Such a caring sister I am. Haha! We were a couple of happy kids! There's the damn Noddy again. 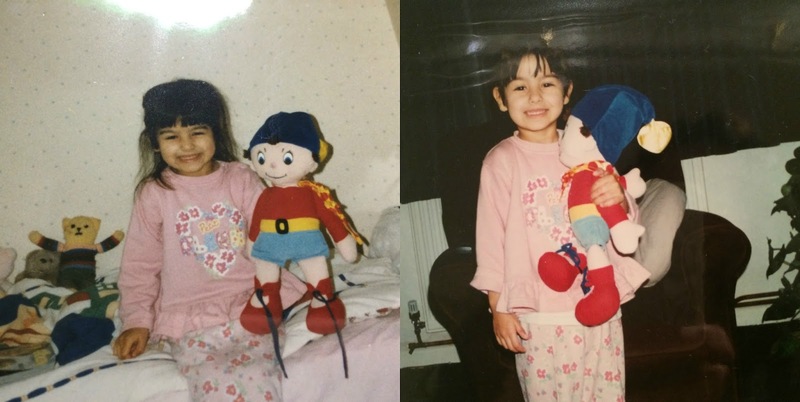 Apparently I pushed Noddy in a pram instead of an actual doll. Don't ask why. That's how my 3-4 year old brain worked. Lol! Rocking the onesie look from a very early age and sitting in the bark of a tree at London Zoo Our favorite place to hide was under the kitchen sink!! I also love my facial expression in both these photos. 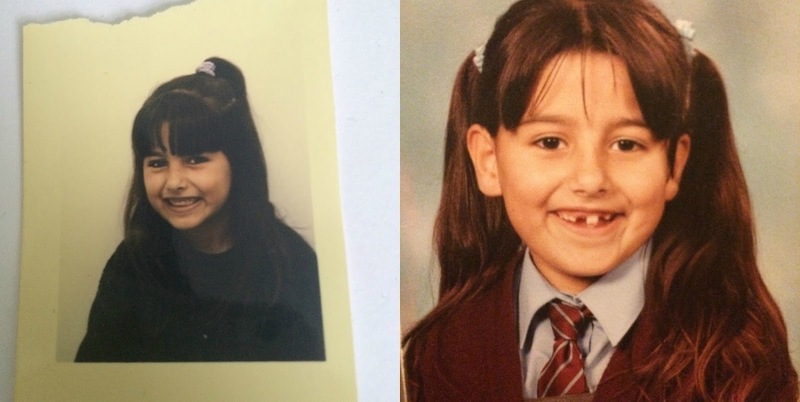 Photos of me to go in my Mum's passport when I was younger and one of my school photos. I had no teeth haha! My favorite photo of me and my brother! I just love this one so much! I'll end this post here by leaving the above college with a few photos from when I was older. As you can see I did love to be a bit of a poser. I just loved having my photo taken. As I've got older that hasn't seemed to have changed. 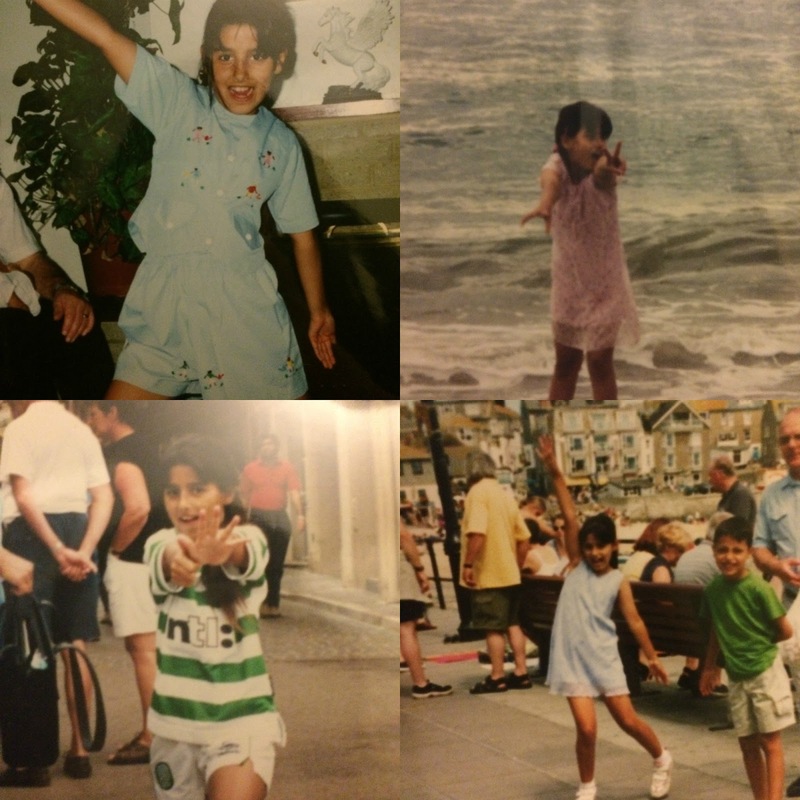 As you can tell from the third photo in the collage I'm wearing a celtic football strip. I've been bought up supporting them and still today always watch the games on TV with my Dad and talk about football in general. Still a girly girl who loves a bit of football in her life haha. 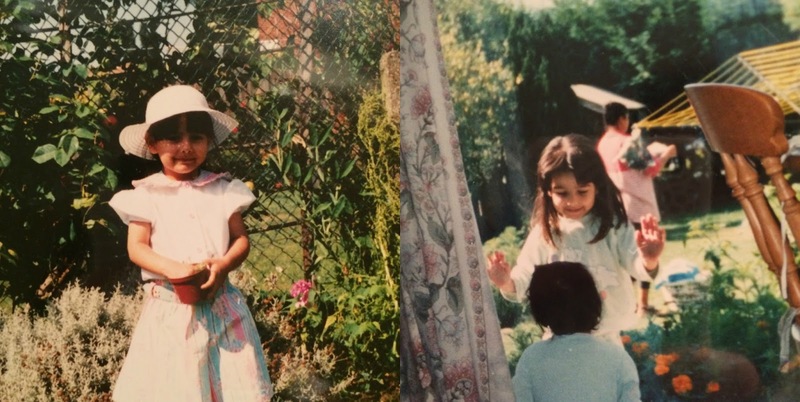 I absolutely loved going through all these old photos and putting together this post for you all. I think that it is so important as we get older to document old photos and not only take photos to remind us of all the good times we had but also print them and put them in photo albums. If facebook and other such websites had excited when I was younger I probably wouldn't have photos like this and be able to share them with you. I think it's so important to print them out and put them in photo albums so that these photos can be passed through generations. I know that this year I'm definitely going to make more of an effort to print out my photos. I got given a beautiful photo album for my birthday last year when I was in Turkey so I am definitely going to put that to good use. 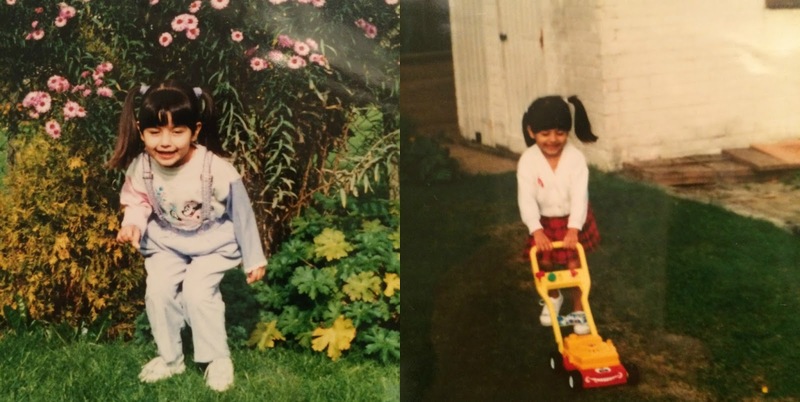 I hope that you enjoyed looking through this post and seeing what I was like as a little girl. I was very smiley but very naughty! Literally the photo where I'm standing outside the window looking in at my brother is how it normally was. We were never allowed to be together as I was quite jealous and used to attack him. I was very naughty. 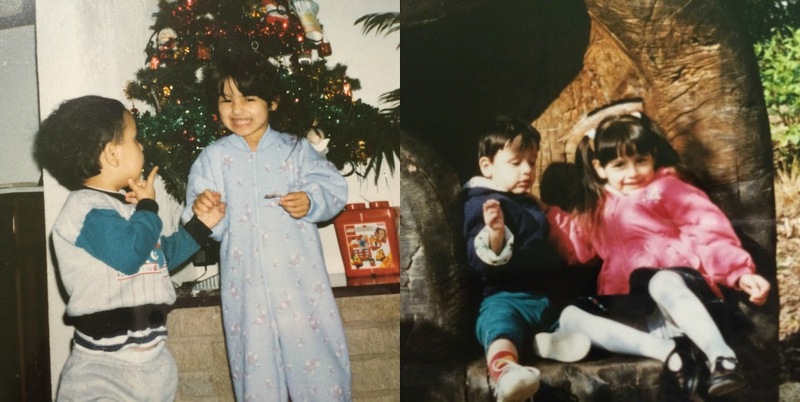 I changed as a grew up though and now my parents say I'm an amazing sister. I should like to think I was! 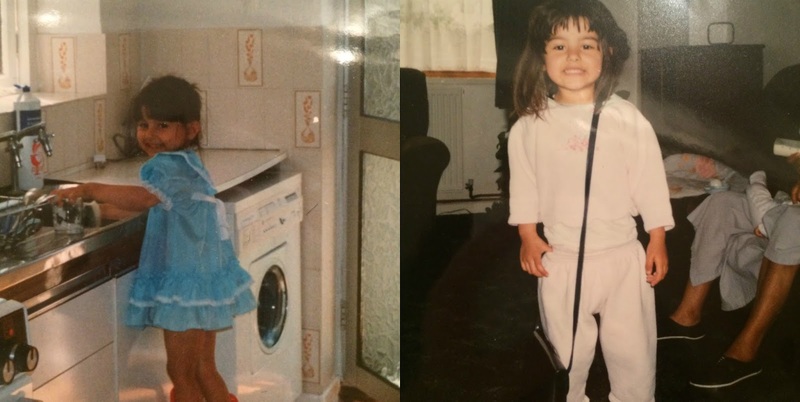 Looking back at these photos has made me realise how much the house has changed. We no longer have carpets, there is no wooden flooring everywhere, our kitchen where we are hiding is no longer there as we have had the kitchen redone and extended, it's just so different. In a way it feels like we have moved house because it has changed so much. We haven't but that's how it feels sometimes. Anyone else feel like that where they've lived? 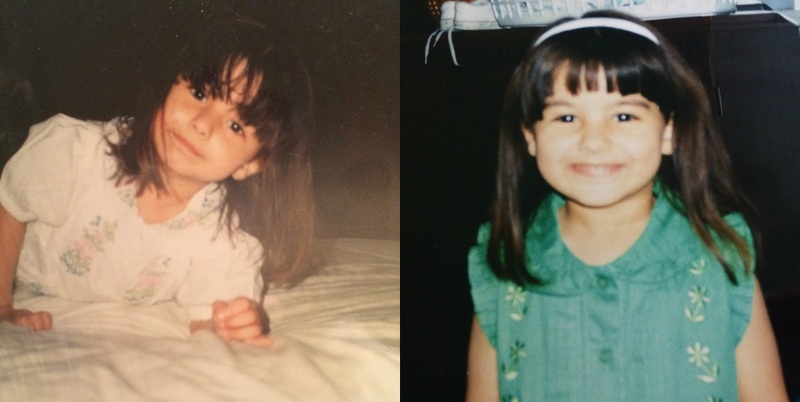 Some of these photos have actually made me want to cut my hair a little bit shorter again. What do you reckon? Do you think I'd be able to pull it off now or is it only something my 3-5 year old self could pull off? Let me know what you think in the comments below. If you have done a post like this with some old photos let me know as I would love to see them. What were you like as a child? 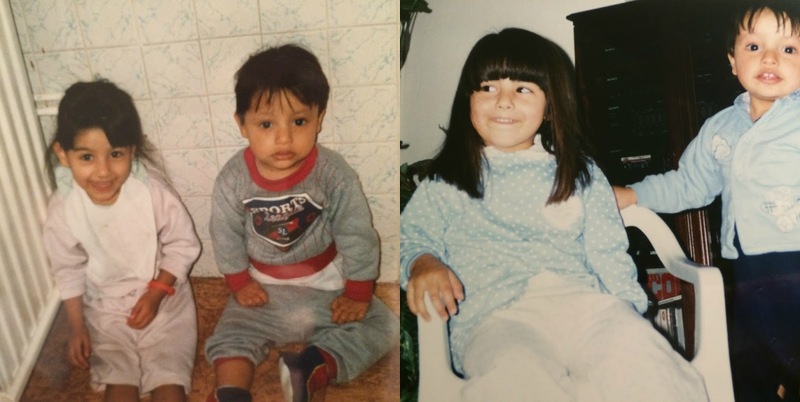 Did you have any brothers or sisters growing up?